HAVING battled with freezing temperatures and torrential rain during months of training, Simon Hicks, a nurse at Basildon University Hospital, heroically completed the hottest- on-record London marathon on 22 April. 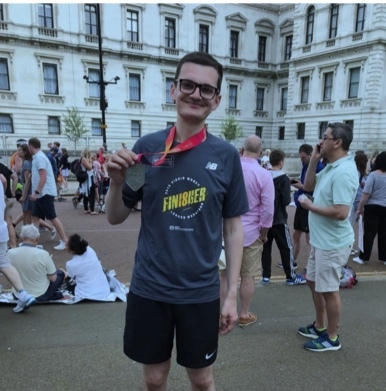 Simon was running his first 26.2 mile event to raise money to enhance care for older patients on Lionel Cosin ward. He set a fundraising target of £500 but after the race his total exceeded £1,600. Today (Monday) he took some well-earned leave from work. He said: ‘I am feeling sore and achy but so pleased I finished. Simon got the running bug two years ago after completing a 10k event. He has been a nurse at the trust for eight months, and says he always wanted to work with older people.